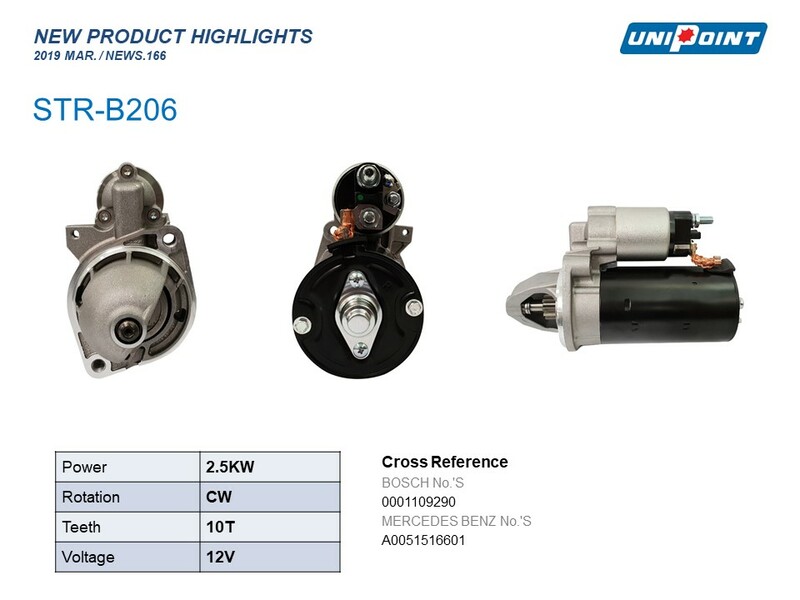 Please find attached Unipoint "New Product Highlights" for March 2019, featuring our newest additions for Rotating Machine Line. In addition, some units, which phase out in the product portfolio, are re-activated to supply to the market; detailed product list is shown in the news. You can find the detailed spec, cross reference numbers & applications from our Unipoint News #166.